I had no idea what to expect upon arriving to Lake Bracciano. This lake is an hour drive from Rome in the region of Lazio. I initially had the chance to visit Rome again, but opted out instead only because I have seen it before and was more interested in a change of scenery. 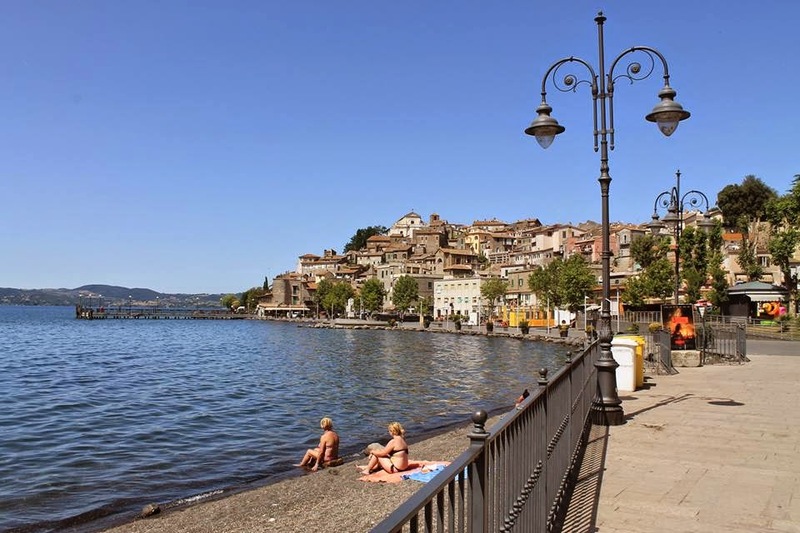 Instead of seeing historical monuments and cathedrals, this time I had the chance to see Lake Bracciano and it was the perfect day trip. With the calm lake and peaceful town, I was able reconnect with nature and it also felt like being back at home, especially being surrounded with the lush greenery. Out of coincidence, I felt as though my floral jumpuit was an appropriate choice for this outing since it was cool, breathable, and casual and it definitely blended in with the natural setting.